Francisca Vieira, from the Natural Cotton Color Group, will be presenting the Production Alliance of the Colour Cotton from Paraíba during the 7th Brazilian Conference of Local Production Alliances whose theme is Social Inclusion—7th CB APL, on December 8th, 9th and 10th, at the Brazil 21 Events Center, in Brasilia. Conceptually, a Local Production Alliance (Arranjo Produtivo Local — APL) is a cluster of companies which develop economic activities in the same area with production, cooperation and learning ties. In principle, there is harmonization and interaction between them and also other stakeholders such as government; associations; credit, teaching and research institutions. In 2000, a publication from the Cultural Initiative Institute (Instituto Iniciativa Cultural), together with the Ministry of Culture, showed economic interest in the Brazilian color cotton. 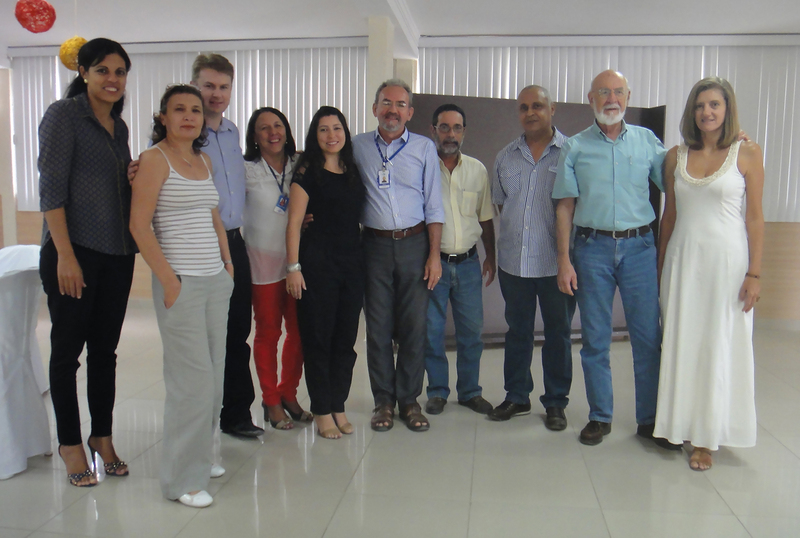 This led to the beginning of the Local Production Alliance—APL Clothing and Color Cotton Artifacts of Paraiba, with 10 microentrepreneurs from Campina Grande, reports Gilvan Ramos, Embrapa Cotton Analyst. Organic colored cotton: planting carried out after signed contract (guaranteed purchase). 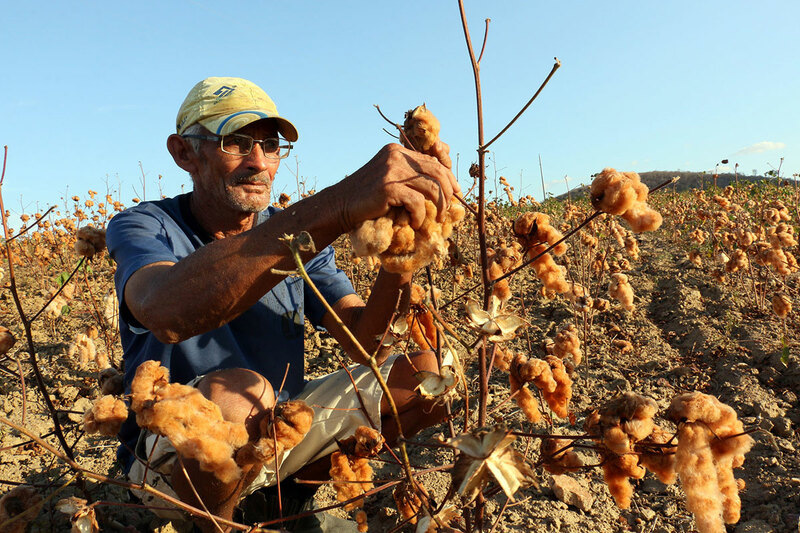 Companies pay the best price from Brazil to the farmer. Photo: Francisco France. Today, the Paraíba Color Cotton Production Alliance includes Embrapa Cotton, the Association of Clothing Industries-Aivest, the Santa Luzia Hammocks Group, the Natural Cotton Color Group and APEX-Brazil, in partnership with the Brazilian Association of Textile-ABIT, SEBRAE, the Federation of Industries of the State of Paraíba – FIEP and, more recently, the Government of the State of Paraíba through the Paraíba Craft Program – PAP. In the 7th CB APL the theme “clusters: Promotion of Supply Chains and Social Inclusion” aims to encourage and improve public policies through the exchange of information and experience. For Francisca, who will be representing the Paraíba Colour Cotton APL along with Sylvio Napoleon of the ABIT, “the Conference strengthens the idea that through alliances, even small companies can compete in the market, especially internationally. With the Production Alliance, companies of all sizes strengthen their chances of survival and growth, “she says. Paraíba Color Cotton Production Alliance brings together companies, institutions, associations and the State Government. Photo: Divulgação. Held every two years, the Conference is coordinated by the Ministry of Development, Industry and Foreign Trade (MDIC), organized by the Permanent Working Group in Support of Local Production alliances (GTP-APL. There will also be presentations of studies on other subjects: management and governance, dissemination of technology and innovation. These studies will be published by the Institute of Applied Economic Research – IPEA.